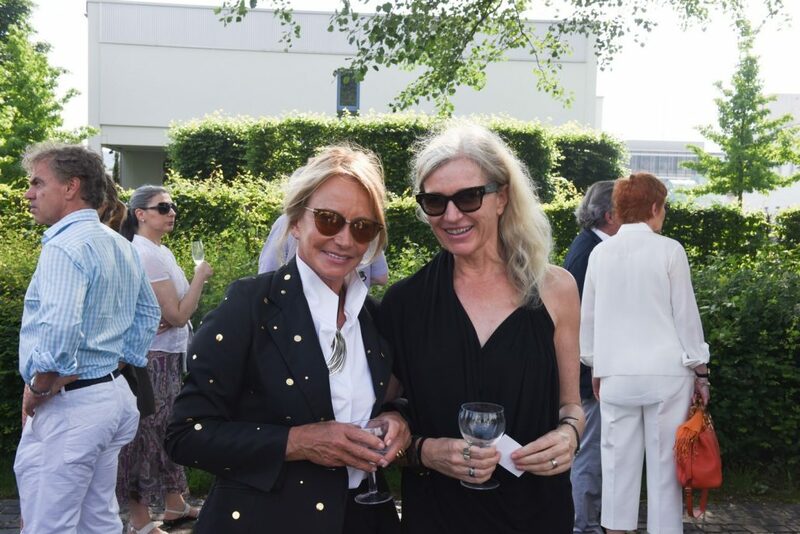 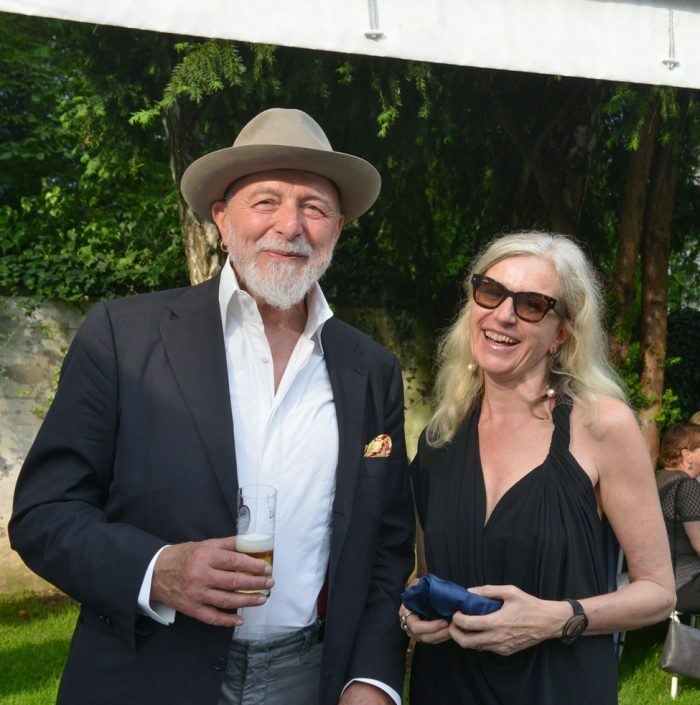 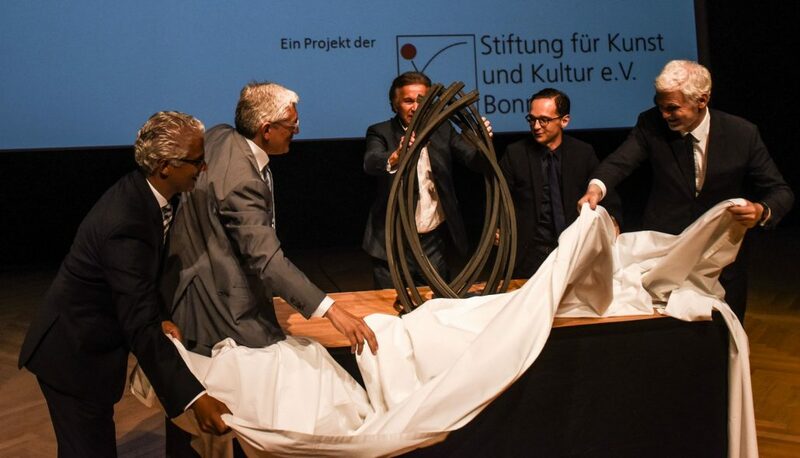 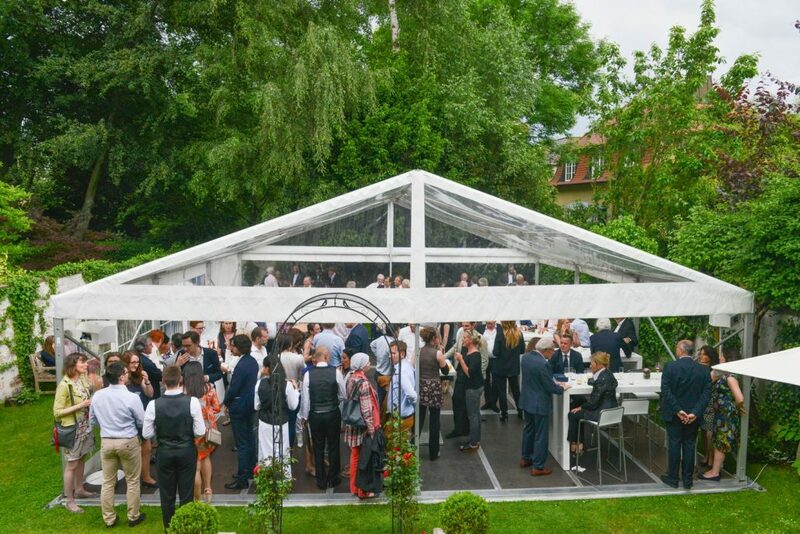 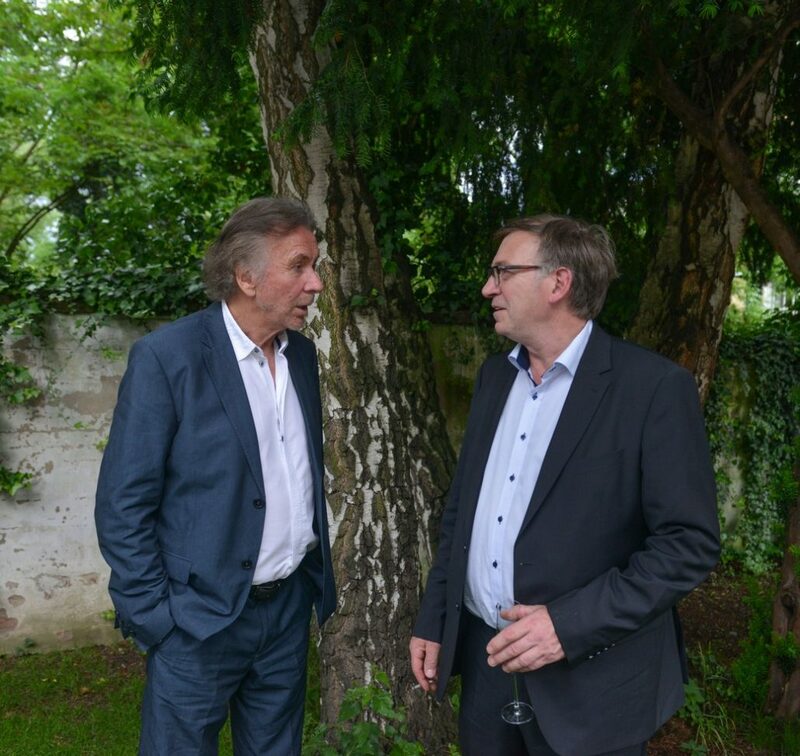 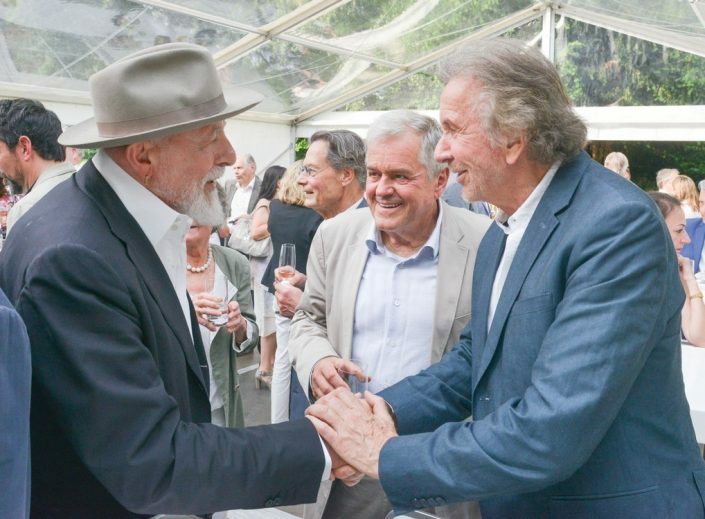 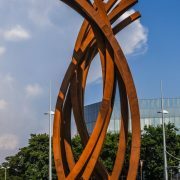 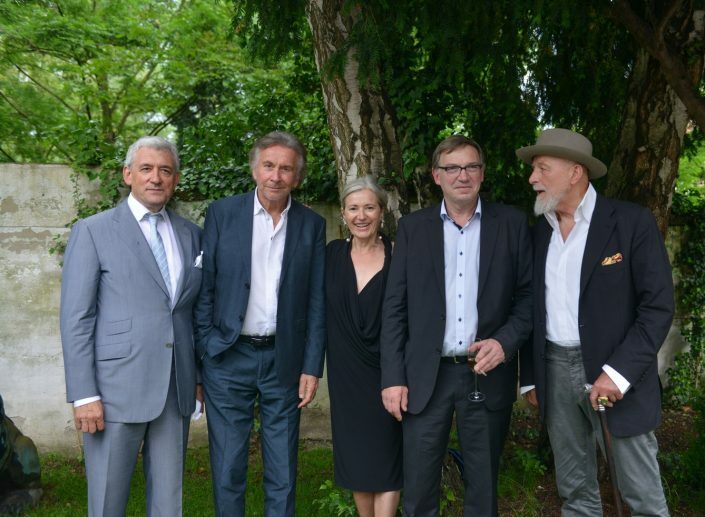 Bernar Venet – ARC ‘89 | Stiftung für Kunst und Kultur e.V. 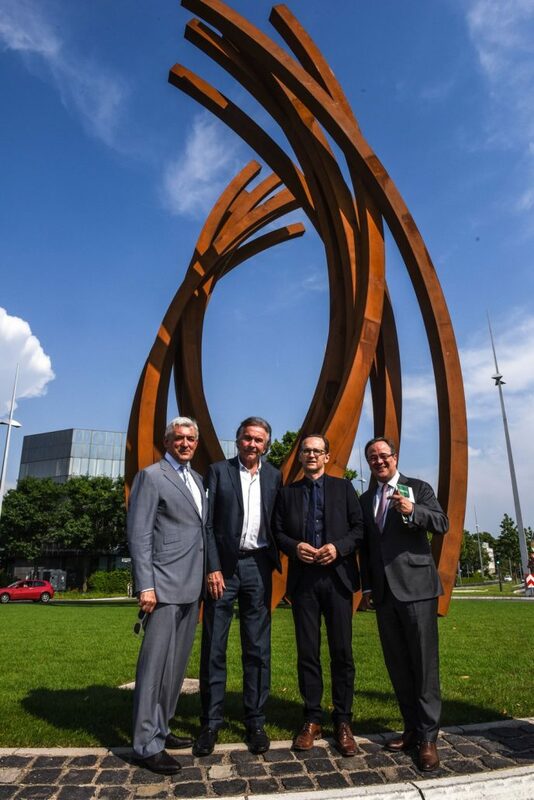 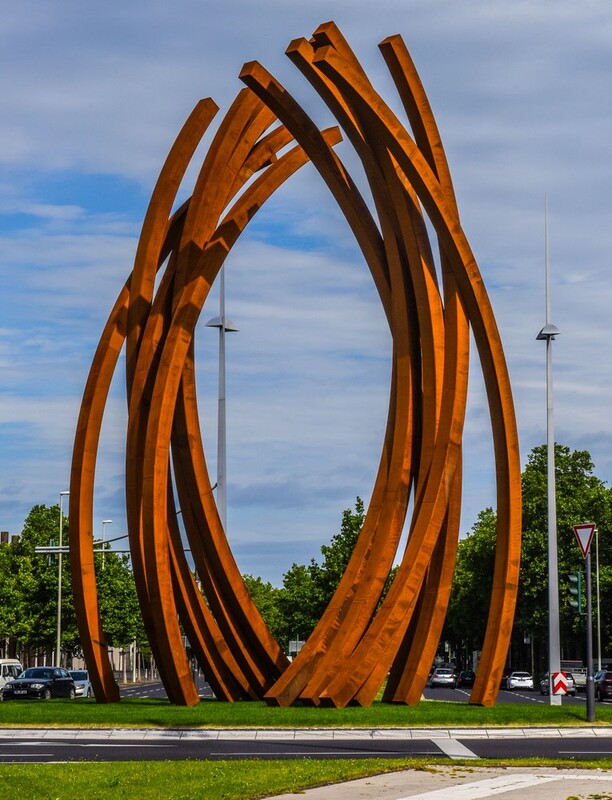 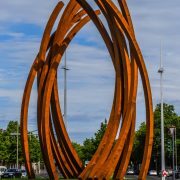 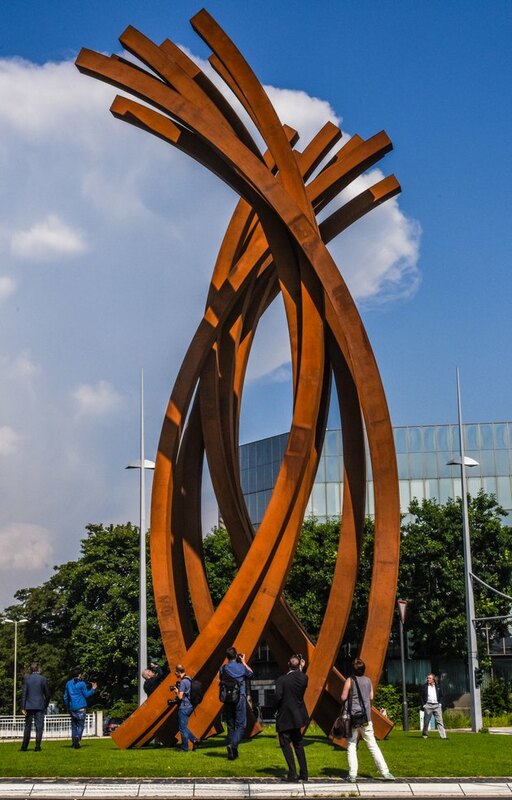 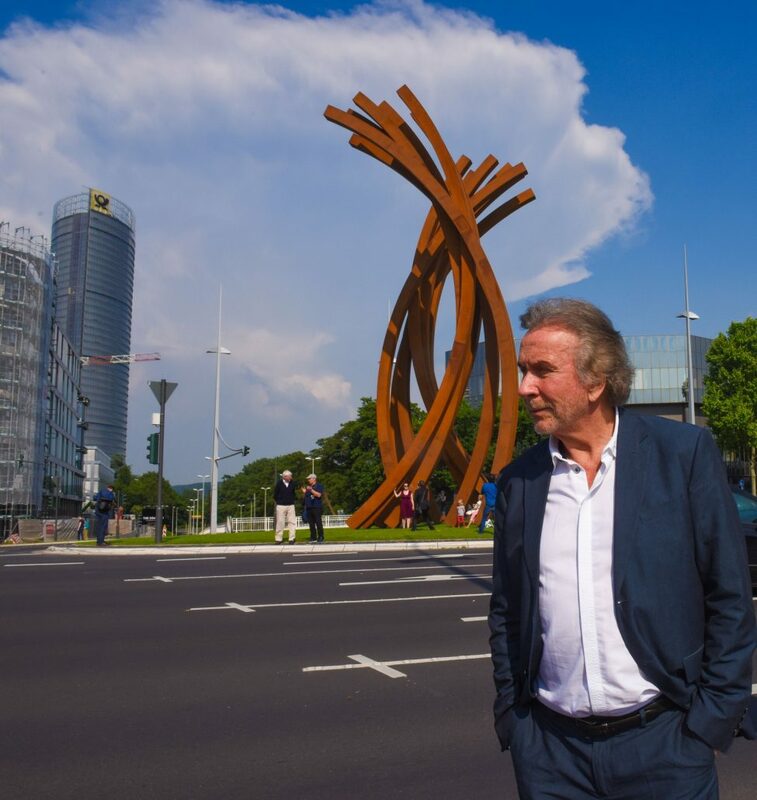 Bonn is now boasting a new landmark: Bernar Venet’s sculpture ARC ´89. 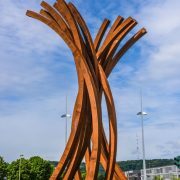 Following completion of the weeks-long installation work, the sculpture will be on display from May 21 on the “Trajektkreisel” B9 roundabout, located in Bonn’s “Museum Mile” district: Constructed from 42 tonnes of pre-rusted Corten steel and standing at a height of some 17 metres, these two rows of seven individual arcs contrive to form a vast portal beckoning in-bound and outbound traffic. As a highly visible landmark on one of Bonn’s main traffic arteries, ARC ´89 is set to dominate the city’s skyscape. 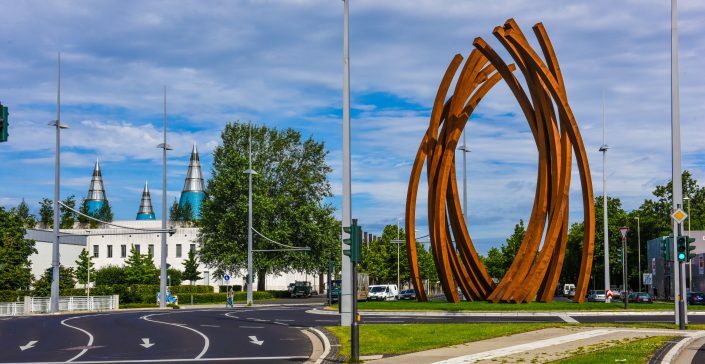 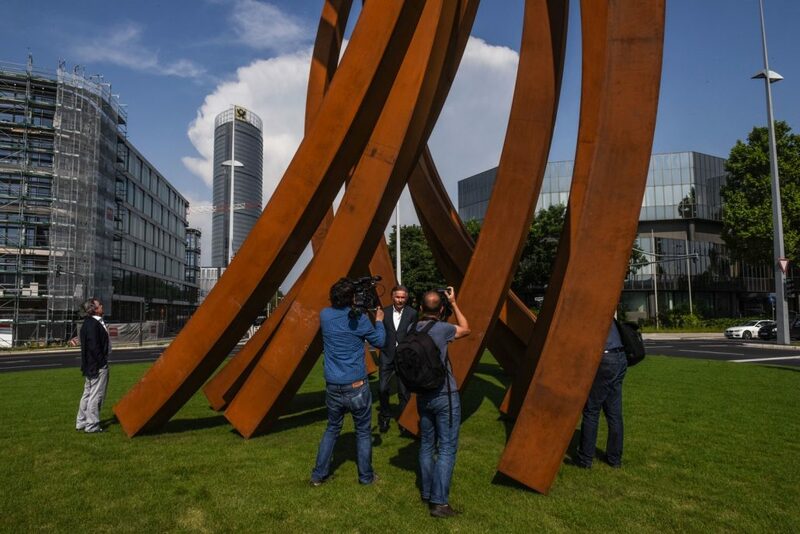 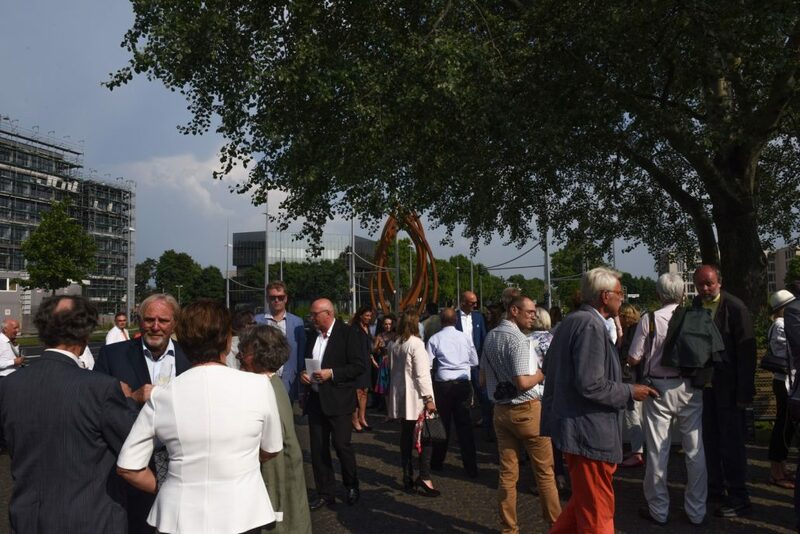 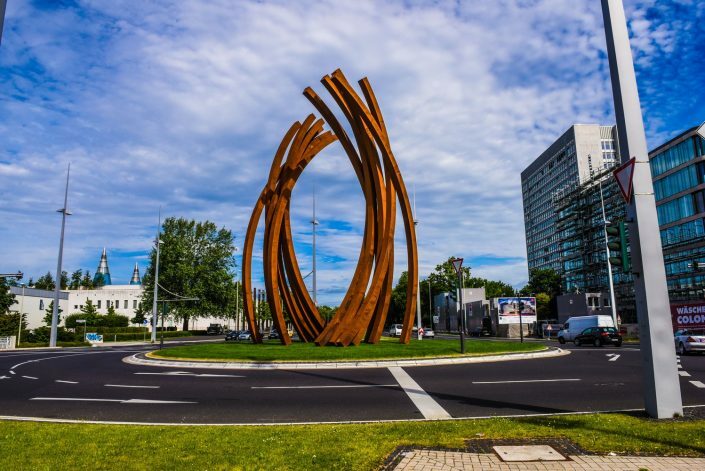 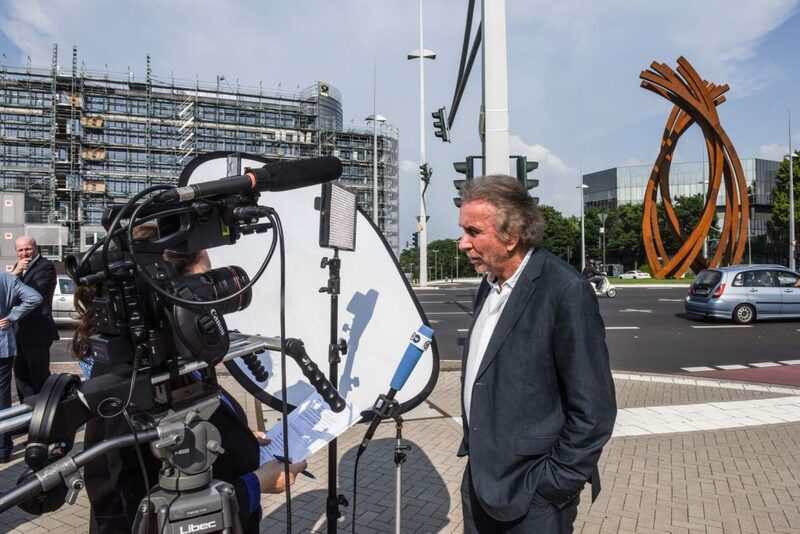 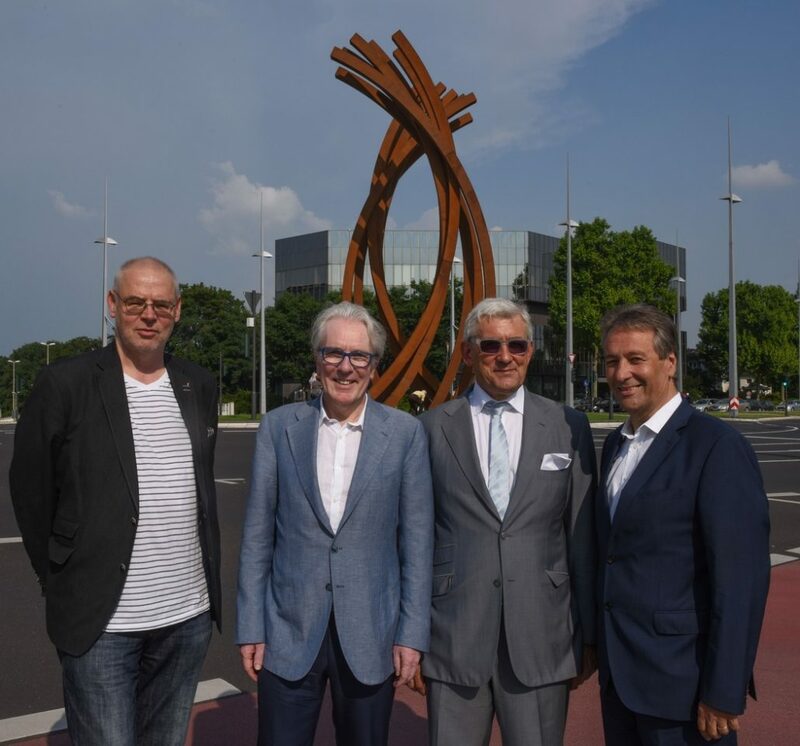 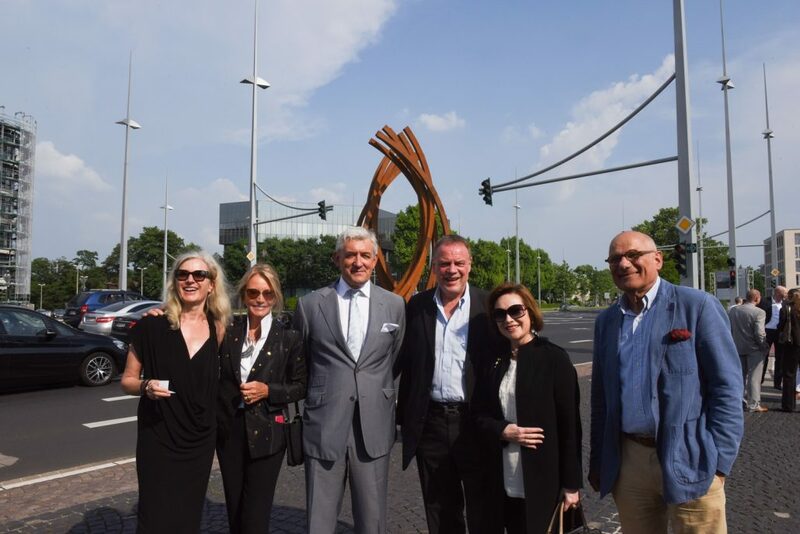 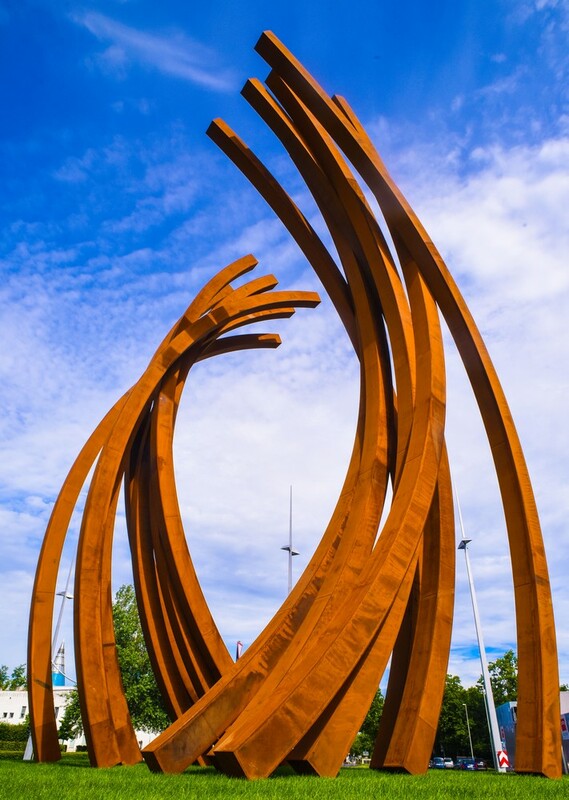 At the invitation of the Foundation for Art and Sculpture, Bernar Venet has frequently visited the city, during which time he developed his design for his site-specific sculpture and finally selected the “Trajektkreisel” roundabout as the ideal site on which to install the work. 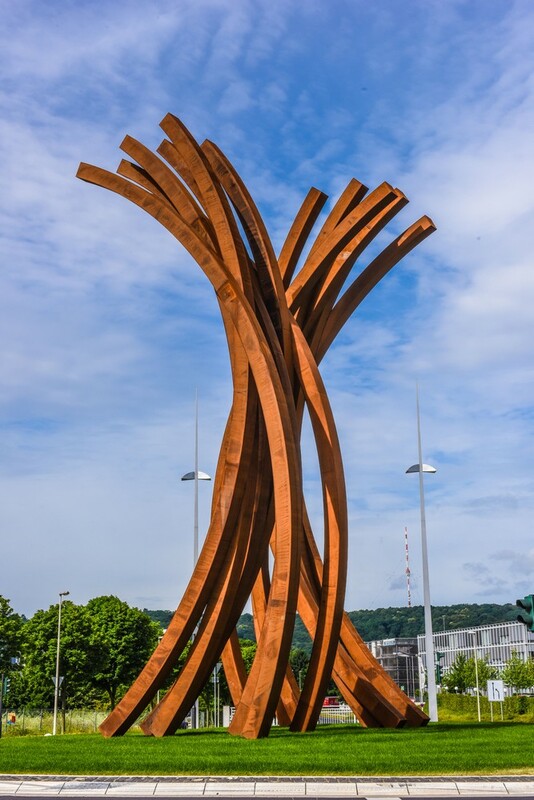 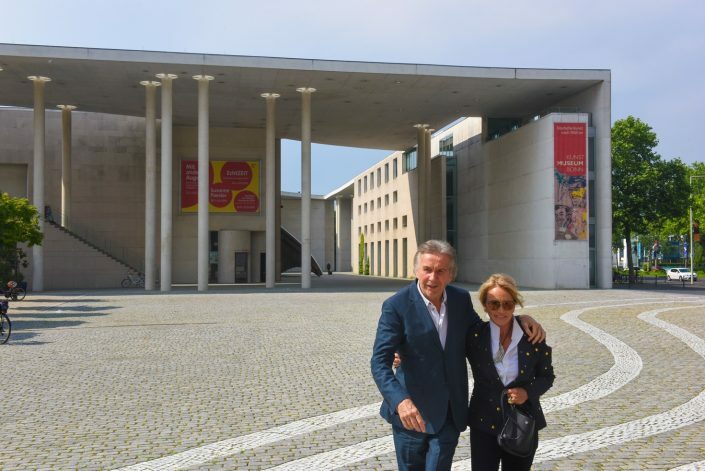 By choosing this location in the former government district and by setting the arches at angle of 89 degrees, Venet is commemorating the collapse of the former GDR in 1989. 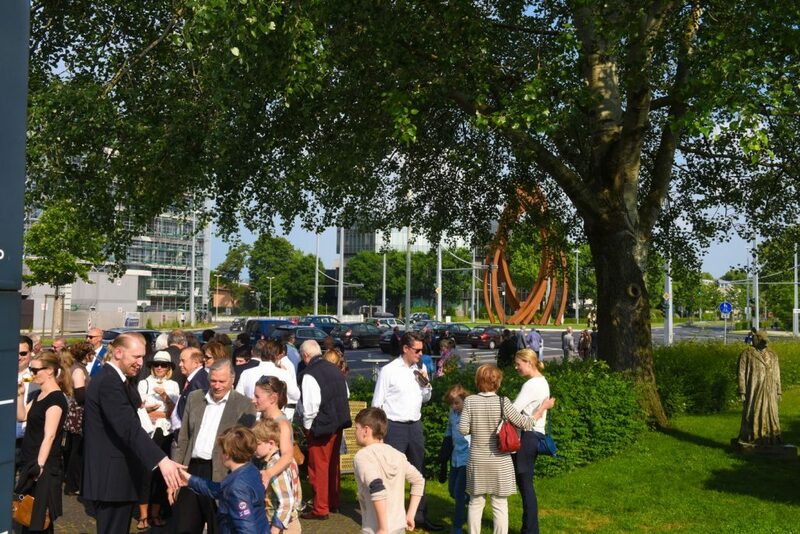 The profound changes occasioned by the fall of the Wall also held far-reaching ramifications for the city of Bonn. 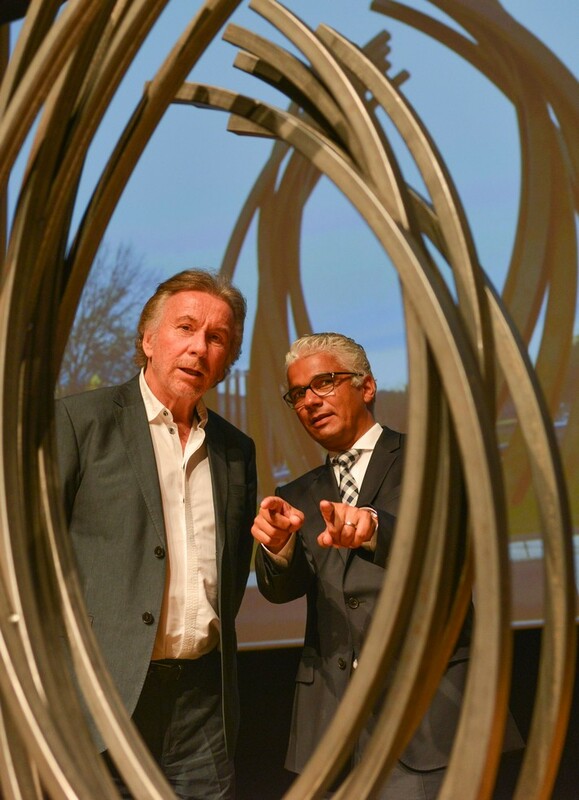 Openness to change, imagination and creativity, and the willingness to adopt fresh perspectives are all responses, which the artist sought to associate with the dismantling of the Iron Curtain in his work. 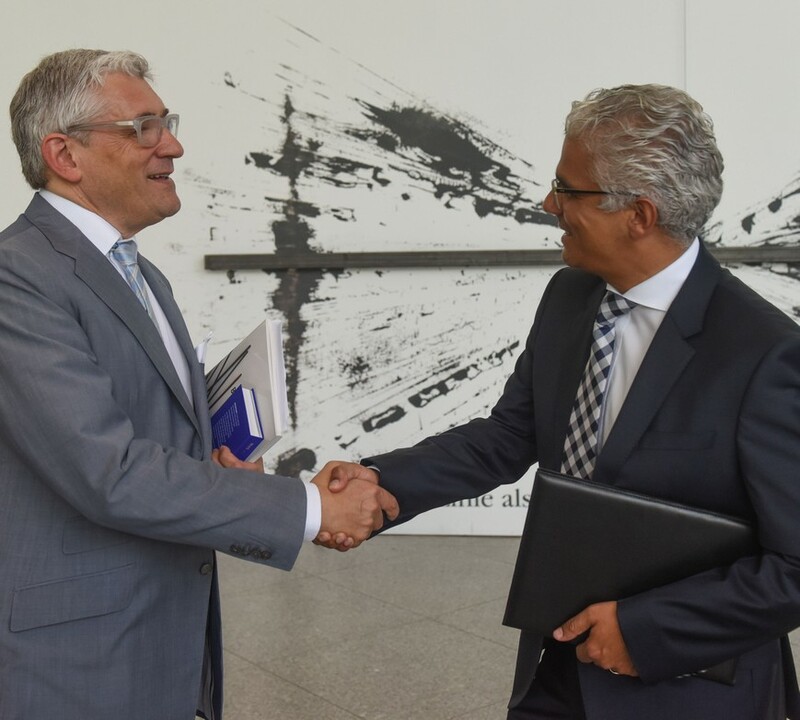 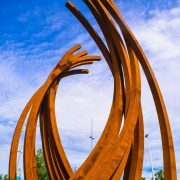 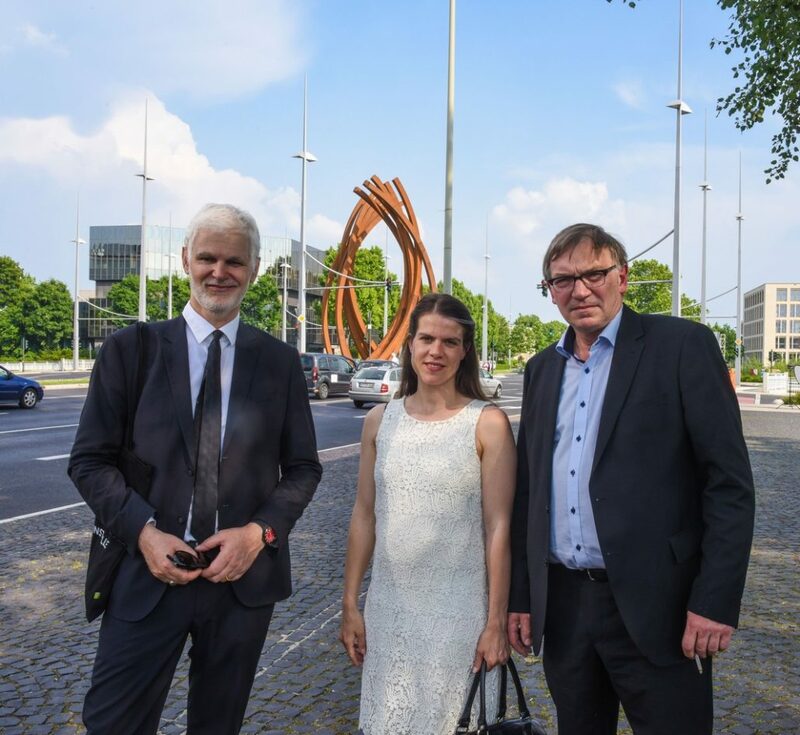 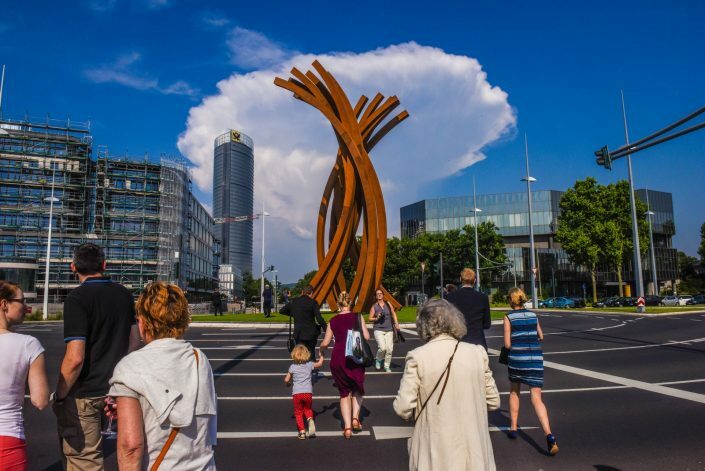 And this project is also informed by the vision of a united Europe – when one considers that a French artist had his sculpture assembled by a Hungarian steelwork company and installed in Germany’s former capital city.